There’s something about nation and pride. You just need to light the spark and the forest fire will follow. There have been dozens of campaigns across the globe that have relied on stirring patriotism as an emotion. With no numbers to back me up at all I would venture out and say that Hollywood as an entity panders to it the most. I am pretty sure that I am not the only one who has wondered why a certain country is the choicest destination regardless of whether it’s an alien attack or a natural calamity. Just to set the context this is not a review of the Bollywood release either. Coming back, this post is more to talk about two specific campaigns. 2014 is the year of general elections in India. Media, paid and earned has been flush for little over a year with a government sponsored campaign. Bold, considering the fact that a similar campaign in 2004 allegedly alienated the larger populace from a government that according to the poll pundits was all set to comeback. The campaigns in question “Bharat Uday” or the India Shining campaign as it was called and the current “Bharat Nirman”. There were several films that were made for both campaigns I am showcasing two that will help make my point. Have lessons been learnt from the past? Well the answer is yes if you think about whether communication pegs have been changed. The earlier 2004 campaign was considered “urban/middle class” in its approach, the current one attempts to be more inclusive (the politically correct word for populist). Any brand communication should have its bearing right as far as its relevance to the consumer and the competitive context are concerned. An ill-timed or ill-directed communication can do more damage than good that could possibly come out of a campaign. Either way, millions of dollars get spent in conceiving, producing and airing these campaigns. Many would argue that it is money that could well be spent for several deserving causes. This brings me to the question that I want to ask as a marketer. This is where I believe the communication has not really shifted or changed. Both the campaigns tried to stake claim to the progress India was making as a nation. Both have tried to piggy ride Brand India. Political brands need to be marketed akin to services and not as products. To put it at a very basic level, I could probably get away selling toothpaste showcasing shiny teeth but could I really sell a burger saying it shall rid you of hunger? 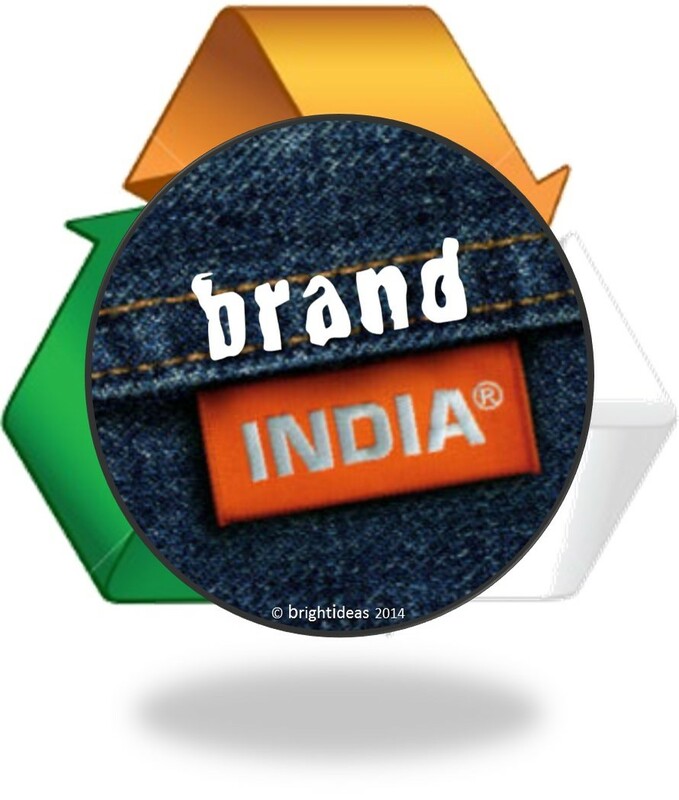 In a country where the have-nots outnumber the haves, wanting to use Brand India as a surrogate is always going to be a knife that cuts both ways. It perhaps is not prudent to weave tales that showcase your neighbour’s prosperity. In this country it’s not my relative, it’s not my friend it’s about me. If I have not “experienced” it then it is not true. The mood and sentiment is best communicated by a song from a recent release. So as much as you want to be seen as the “do-gooder” with every communication that you put out, there is perhaps a larger set that attributes their lack of progress to you. Problem is in a democracy, majority continues to count!